London is an extremely popular place for many things but it probably would not like to be in first place for the number of cars that were stolen and subsequently recovered in 2016. In fact, it has held this position for the past 5 years. This data will no doubt be one of the factors in assessing car insurance premiums. The BMW X5 was the most popular car stolen and then recovered in the UK in 2016. Tracker, that provides tracking devises for motor vehicles, produced the data in respect off the above. It is interesting that Essex moved up from 4thth spot in 2015 to 2nd place in 2016. Greater Manchester was in 2nd place in 2015 but dropped to 7th place in 2016. South Yorkshire wasn’t in the top ten places in 2015 but crept into 9th place in 2016. The make and model of car that was stolen but subsequently located more times than any other vehicle last year in the UK was the BMW X5. 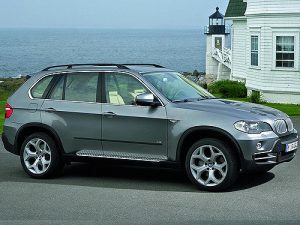 In London, the BMW X5 was the car thief’s number one choice as it was also in regions such as Merseyside, West Midlands and Essex. Of course, the owner of a car that is fitted with the likes of an alarm and tracking device may be able to get their car insurance cheaper than if those security devices were not fitted to the vehicle. When looking for motor insurance it is worth shopping around and get quotes from a variety of insurance providers to give you greater opportunity to get competitively priced cover. However, when doing so, make sure that the cover is suitable for your purposes. One of the ways to obtain a number of quotes is to use a price comparison website.